Joy Sircar McMillen is the Design Director of KAHINI Couture. 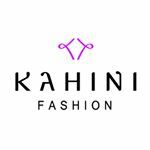 “KAHINI ” is the exclusive inhouse women’s designer label of Kahini Fashion. Kahini is about expressing yourself through fashion. Joy believes in making every woman look and feel gorgeous, unique and stylish. 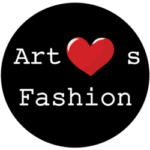 Her designs are inspired by latest fashion trends in USA and Europe. Each style is chic, feminine and luxe, with an element of unpredictability. Joy started designing at the age of 14 and has over 22 years experience in the fashion industry, with companies like Nike and Nordstrom. She was nominated for Northwest Upcoming Fashion Designer Awards. Her gowns, jackets and cocktail dresses have interesting textures and geometric color blocking. She also does one of a kind custom designs for clients.